President Zuma conveyed his best wishes to the President-elect and said that he looked forward to working with President-elect Trump to build on the strong relations that existed between the two countries. 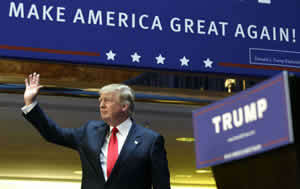 On 9 November, President Jacob Zuma, on behalf of the Government and the people of South Africa, congratulated President-elect Donald Trump for winning the presidential elections that were held in the United States of America (USA) on 8 November 2016. He underlined that South Africa further looked forward to working closely with the new US Administration in promoting peace, security and prosperity around the world, especially on the African continent. The Libyan crisis and its developments were at the centre of the meeting of the African Union (AU) High-Level Committee on Libya in Addis Ababa, Ethiopia, on Tuesday, 8 November. 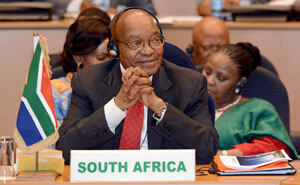 President Jacob Zuma represented South Africa at the talks chaired by the chairperson of the AU and Chad President, Idriss Déby Itno. The members of the AU High-Level Committee of Heads of State and Government on the situation in Libya are Algeria, Congo, Egypt, Mauritania, Niger, South Africa and Uganda, while the AU representative for Libya is the former President of Tanzania, Jakaya Kikwete. The North African country has been beset by chaos since North Atlantic Treaty Organisation-backed forces overthrew long-serving ruler, Colonel Muammar Gaddafi, in October 2011. The country remains divided politically between two governments and parliaments, despite a United Nations-brokered peace agreement signed by the country's political rivals in December 2015. Concerns have also been raised over the rise of Islamist militancy there. In recent years, the country has been a key springboard for migrants heading for Europe. President Zuma also participateed in the Second Extraordinary Summit of the Volunteering Nations of the African Capacity for Immediate Response to Crises (ACIRC). The aim of the summit was to discuss the status of the ACIRC Force following the conduct of the UTULIVU AFRICA I and II Command Post Exercises (CPX) and the verification of the pledged capabilities from May 2014 to April 2015, The Presidency said. The ACIRC was established in 2013 and consists of volunteering nations such as Algeria, Angola, Benin, Chad, Burkina Faso, Egypt, Mozambique, Niger, Rwanda, Senegal, South Africa, Sudan, Tanzania and Uganda. It was introduced as an interim measure, pending the full operational capability of the African Standby Force, to provide the AU with a rapid military response capability, with the specific objective of preventing emerging genocides, crimes against humanity and war crimes. President Zuma was accompanied by the Ministers of International Relations and Cooperation Maite Nkoana-Mashabane; Defence and Military Veterans, Nosiviwe Mapisa-Nqakula; and State Security, David Mahlobo. In 2015, the annual Ubuntu Awards were launched to celebrate South African citizens who play an active role in projecting a positive image of South Africa internationally. Through excellence in their chosen fields, these proud South Africans serve as global ambassadors of our nation. O. R. Tambo Lifetime Achievement Award. Next year’s Ubuntu Awards will be hosted by the Minister of International Relations and Cooperation, Maite Nkoana-Mashabane, and is expected to take place in February 2017 in Cape Town. The event will take place after the opening of Parliament and will bring together captains of industry, leaders from civil society, members of Cabinet and eminent persons in addition to all ambassadors and high commissioners accredited to South Africa. The awards are aimed at recognising and honouring South African industry leaders, organisations and extraordinary citizens for their distinguished service and contribution to promoting South Africa’s national interests and values throughout the world. Each award will be given to an organisation and/or an individual, who through excellence, innovation, creativity, social responsibility and patriotism, distinguished themselves as exceptional ambassadors of South Africa. The year 2017 marks the centenary of Oliver Tambo’s life. 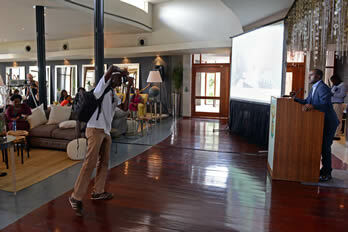 Therefore, the theme of the Ubuntu Awards will be: “In his Footsteps”. The Ubuntu Awards thus recognise South African citizens who embody the principles of OR Tambo, namely: Integrity, Passion, Patriotism and Humility. Previous award winners include South African companies MTN and Nandos; top Olympic athletes Wayde van Niekerk and Chad le Clos (Ubuntu Sports Diplomacy Award); DJ Black Coffee and Hugh Masekela (Ubuntu Cultural Diplomacy Award); the former South African Chief of State Protocol, Ambassador Billy Modise; and the late South African liberation struggle stalwart and diplomat, Mme Ruth Mompati (OR Tambo Lifetime Achievement Award) to mention but a few. The IMC will ensure that the legacy and heritage of Mr Tambo is known, understood, affirmed and celebrated in a befitting manner by all South Africans. The year 2017 marks the centenary of the late Oliver Reginald Tambo, a national icon and hero of the liberation struggle, who shaped the country’s vision, mission and value system. President Jacob Zuma has established an IMC to prepare for the celebration of the centenary of OR Tambo next year, the late former President of the African National Congress and one of the key founding fathers of South Africa’s liberation and constitutional democracy. The Deputy President met the leaders in Pretoria in his capacity as the Southern African Development Community (SADC) Facilitator. 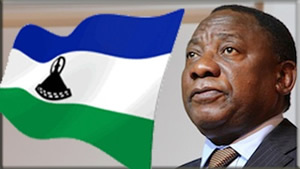 Deputy President Cyril Ramaphosa has met with the three exiled leaders of Lesotho's opposition political parties. The Presidency said the meeting was attended by former Prime Minister,Tom Thabane; leader of the Basotho National Party, Theselle Maseribane; and the leader of the Reformed Congress of Lesotho, Keketso Rantsho. They were joined in the meeting by leaders of the opposition parties based in Lesotho. “The facilitator briefed the opposition political leaders on deliberations and outcomes of the 36th Ordinary SADC Summit, held in Mbabane, Kingdom of Swaziland, in August 2016 regarding regional efforts to assist the people of Lesotho to consolidate peace and stability,” The Presidency said. Deputy President Ramaphosa highlighted the SADC Summit decisions on the constitutional and security-sector reform processes, efforts to facilitate the return of exiled political leaders and the deployment of the Oversight Committee. “In this regard, Deputy President Ramaphosa will soon pay a Working Visit to the Kingdom of Lesotho to introduce members of the Oversight Committee to all relevant stakeholders in the country. “The Oversight Committee, working in consultation with the facilitator, will serve as an early-warning mechanism and assist the Government of Lesotho with respect to constitutional and security-sector reform,” The Presidency said. Deputy President Ramaphosa will also utilise the Working Visit to Lesotho to review progress regarding implementation of SADC decisions on the Phumaphi Commission of Inquiry and the facilitator’s recommendations on the constitutional and security reform process. Justice and Correctional Services Minister, Michael Masutha, says despite withdrawing from the Roman Statute of the International Criminal Court (ICC), South Africa remains committed to upholding human rights. The Minister said this when he led a Parliamentary debate on South Africa’s withdrawal from the ICC at the National Assembly recently. “South Africa’s commitment to the protection of human rights and the fight against impunity is unwavering, despite this decision to withdraw. 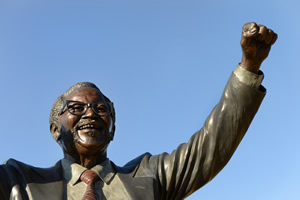 This commitment was forged in the struggle for liberation against the inhumanity of colonialism and apartheid, and based on the values of our nation, namely human rights, freedom and dignity, as aspired to in the Freedom Charter, which was adopted by the people of South Africa in 1955 and enshrined in our Constitution. “South Africa has always and will always condemn in the strongest terms human rights violations and international crimes wherever they may occur and call for accountability from those responsible,” Minister Masutha said. The debate came after Cabinet approved a decision of the South African Government to send an “instrument of withdrawal” letter to the United Nations Secretary-General, explaining its intention. The Minister said the decision to withdraw from the Roman Statute was not taken lightly, given South Africa’s historic involvement with the ICC. South Africa played a significant role in the international negotiations on the establishment of the ICC and was one of the first signatories of the Rome Statute. “South Africa cannot and will not be silent in the face of serious flaws in the practices of the ICC and will not join the chorus of uncritical loyalty. “It is time to ask ourselves whether the ICC, as part of the international criminal justice system, is actually assisting the world to indeed make sure that there is no impunity against the crimes of genocide and crimes against humanity,” he said. The signing of the Memorandum of Understanding (MoU) took place within the broader cooperation framework between South Africa and Lesotho, which is based on the Bi-National Commission (BNC) that the neighbouring countries have. Both ministers led high-level delegations consisting of directors-general, executives and other senior government officials for the signing ceremony. The Minister for Public Service and Administration, Advocate Ngoako Ramatlhodi, recently signed an MoU on cooperation in the field of governance and public administration with the Kingdom of Lesotho Minister of Public Service, Tsukutlane Au, in Pretoria. All entities falling within the ambit of the South African Ministry for Public Service and Administration, namely, the Department of Public Service and Administration, National School of Government and the Centre for Public Service Innovation, will use the signed instrument to exchange information and share best practices. South Africa and Lesotho have numerous MoUs signed among various ministries of the respective countries. The MoU on Public Service marks the beginning of a strategic partnership as exchanges of best practices on public administration will serve as a catalyst in bolstering and improving service delivery of the two countries. 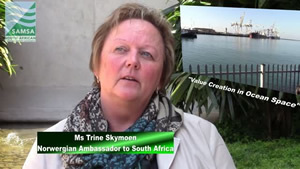 South Africa, Norway and the United States launched a joint venture in marine research in Cape Town on 2 November, extending their partnership to gather information from three oceans around southern Africa. The Nansen-Tutu Centre for Marine Environmental Research, established in 2010 to perform research that will assist in dealing with global change across the continent, will be responsible for implementing the joint venture. The University of Cape Town and the Nansen Environmental Centre in Norway, are among the partners in this research project, which enters its third phase. The centre’s vision is to serve Africa through advancing knowledge of the marine environment and climate system in the spirit of Nobel Peace Laureates, Fridtjof Nansen and Desmond Tutu. The signing took place on the sidelines of the first Norway-South Africa Science Week. South Africa's multibillion-rand maritime sector was the focus of the week-long event which started on Monday, 31 October, during which the two counties explored new business opportunities in the blue economy. Parliament has accepted the COP21 Paris Agreement on Climate Change. The National Assembly debated the adoption of the agreement recently. 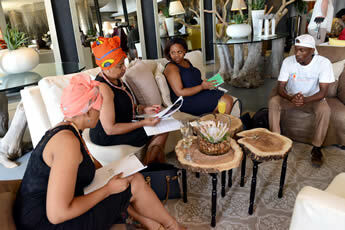 The Minister of Environmental Affairs, Edna Molewa, thanked Parliament for its speedy work. "We'd like to express our sincere appreciation to Parliament for having processed the Paris Agreement in such record time," she told the house. "South Africa has a constitutionally-prescribed process to ratify all international agreements which are legally binding." The motion was not objected to. Parliament's Portfolio Committee on Environmental Affairs heard in September that South Africa would play a key role in keeping the Paris Agreement alive. 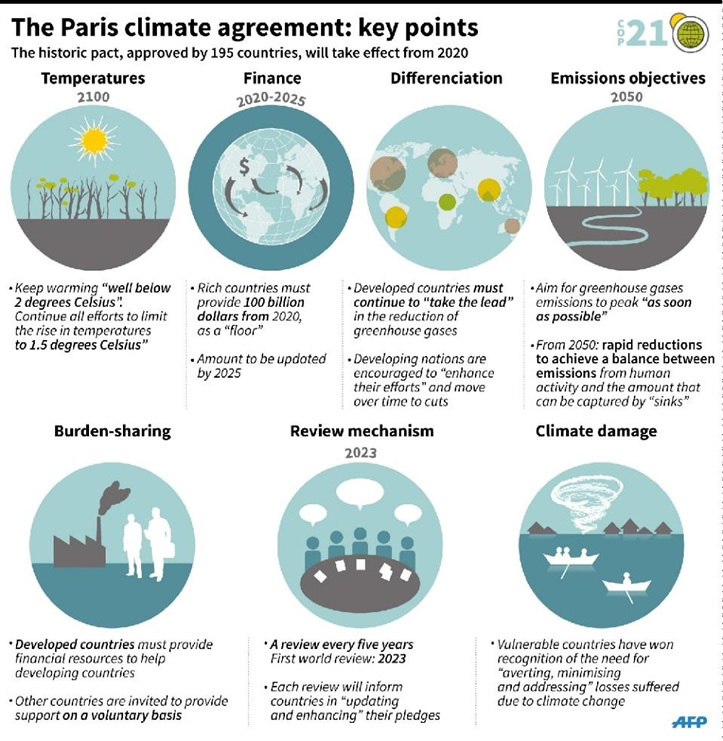 The landmark agreement, which 195 countries signed in Paris last April, bound signatories to reduce the increase in global temperature to less than 2°C. The Global Entrepreneurship Week (GEW), which takes place from 14 – 20 November 2016, is the largest gathering of innovators and entrepreneurs who launch start-ups that bring ideas to life, drive economic growth and stimulate socio-economic development. The Minister of Small Business Development, Lindiwe Zulu, will on Friday, 11 November 2016, launch the GEW in Johannesburg. Minister Zulu will be joined by the leadership of the Gauteng Provincial Government and the President of the Global Entrepreneurship Network, Jonathan Ortmans. Every year in November, a week is dedicated to inspire millions of people from more than 160 countries through local, national and global activities designed to help them unleash their potential as entrepreneurs and innovators. The launch, which is supported by various stakeholders, will be attended by South Africa’s leading chief executives, entrepreneurs, innovators and ecosystem leaders. The GEW is a build-up to the Global Entrepreneurship Congress, which will host over 5 000 delegates from 160 countries and will be held in Johannesburg in March 2017 for the first time on the African continent. 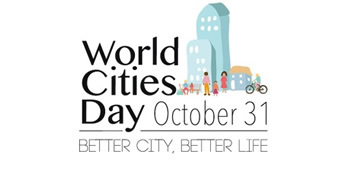 The South African Local Government Association (Salga) joined the world in celebrating the World Cities Day 2016, which has been designated by the United Nations every 31 October. Salga said World Cities Day was designated to promote the international community’s interest in global urbanisation, and to push forward cooperation among countries in contributing to sustainable urban development around the world. World Cities Day 2016 was celebrated under the theme: “Inclusive Cities, Shared Development”, which highlighted the important role of urbanisation as a source of global development and social inclusion. “This year’s theme is embraced by the action and implementation of the New Urban Agenda, which puts the topic of inclusive cities as one of the main pillars of the urban shift,” said Salga. “Throughout the world, cities are growing at an exponential rate. As complexities grow, Salga is assisting municipalities to become smart cities, to be more critical and fully grasp the challenges and opportunities presented by urbanisation. “Helping municipalities to develop their capacities to innovate and share best practices and knowledge management is part of Salga’s mandate,” said the association. Salga national chairperson, Parks Tau, was recently elected to the Presidency of the United Cities and Local Government (UCLG), the global representative voice of organised local government. UCLG is a significant player on the global stage and is poised to become even more important in relation to the implementation of the Sustainable Development Goals 2030. OR Tambo International Airport in Johannesburg has made history on the continent in becoming the first African airport to implement a new Smart Security system. A new screening booth for international passengers departing OR Tambo started a pilot implementation from Tuesday, 8 November. It aims to digitise the security check process and should help speed up passenger progress through security. Using the new Smart Security system, passengers will no longer be required to unpack laptops and other electronics, which OR Tambo says will speed up security checks significantly. Physical checks are also no longer required when using the new system. "We have become the first African airport to implement #SmartSecurity checkpoints that will digitise the security check process, speed up passenger progress through security and further enhance security through use of state-of-the-art scanners," the airport says. Residents from Khayelitsha and Mitchell’s Plain in Cape Town will soon be able to travel on electric buses into the Central Business District, according to ESI Africa. 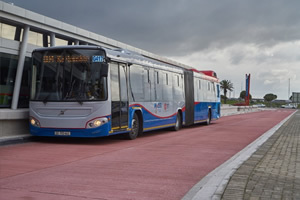 The initial MyCiti bus outlined by the city will include trips from Khayelitsha and Mitchell’s Plain. News24 reported that the city said they would take delivery of buses in June 2017. Mayor Patricia de Lille said in a statement: "Apart from lowering our carbon emissions, local residents will also benefit from this contract through job opportunities." The buses, manufactured by Chinese company BYD Motors, have a range of 250 km from a single charge and form part of the city's efforts to "reduce its carbon emissions footprint by 3,2% by 2020". A stipulation by the City of Cape Town was that the buses be assembled locally and that the bus bodies in part also be manufactured locally. Kagiso Rabada's 5/92 inspired the Proteas to a memorable 177-run victory over Australia in the first Test at the WACA on Monday, 7 November. It is hard to think of a Test match more captivating, and given the circumstances, it is surely one of the finest performances in South Africa's history in the longer format. At the end of day one, the Proteas was bowled out for 232 while a David Warner-inspired Australia were sitting pretty on 105/0. At that point, a South African triumph seemed highly unlikely and then almost impossible when Dale Steyn walked off injured on day two with the Aussies just one wicket down. But Rabada, Vernon Philander and Keshav Maharaj put in inspiring displays to restrict Australia to just 234 in their first dig. 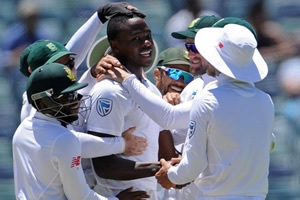 Monday belonged to Rabada, who picked up two wickets in the morning session as he claimed his fourth five-wicket haul in Test cricket and the Proteas closed in on victory. Being forced to bowl a lot of overs in the absence of seam ace Dale Steyn, this Rabada display is already being considered one of the finest ever seen by a South African quick. Three South Africans, including Springbok Sevens try-scoring ace Seabelo Senatla, were recently nominated for the prestigious World Rugby Awards for 2016. Senatla is one of three nominees for World Rugby’s Sevens Player of the Year Award, in association with HSBC 2016. 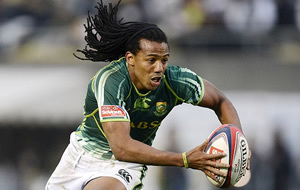 It’s his second successive nomination for this honour, which was won by Blitzbok Werner Kok last year. World Rugby announced recently that Senatla, who scored 66 tries in the 2015/16 HSBC Sevens Series, was on the shortlist alongside Virimi Vakatawa (France) and Osea Kolinisau (Fiji). The three players were selected by an independent awards panel which includes a representative from each of the Sevens teams and the television commentators from the Sevens Series. The flying South African was already named top try-scorer for the season by World Rugby when the 2015/16 series concluded in London. Senatla, who was recently named the Springbok Sevens Player of the Year, will try to emulate Kok and another one of this Springbok Sevens team mates, Cecil Afrika, who was named the best sevens player on the planet in 2011. Rasta Rasivhenge and Jaco Peyper are shortlisted for the World Rugby Referee Award along with Jérôme Garcès of France and Spain's Alhambra Nievas. The World Rugby Awards dinner will be held at the Hilton Metropole in London on Sunday, 13 November, where the winner will be announced. SA'S BIGGEST HORSE RACING EVENT RETURNS IN 2017... TWICE! The Cape’s premier horse-racing and social calendar event, the L’Ormarins Queen’s Plate (LQP), has announced that an additional day will be added to the line-up of festivities for the 2017 event. Multi-day racing festivals are popular in other parts of the world, but this will be a first for South Africa. "We hope to follow in the footsteps of other racing festivals such as the Qatar Goodwood Festival, Royal Ascot and the Melbourne Cup", says LQP festival coordinator, Katherine Gray. The event will be held on Friday, 6 January, from 11:00 – 17:30 and Saturday, 7 January, from 11:00 – 23:00 at Kenilworth Racecourse. South Africa’s Chad le Clos ended as the runner-up in the men's classification in the FINA Swimming World Cup, which concluded in Hong Kong recently. Le Clos took home $50 000 (R681 652) for his efforts in the nine-leg short course series. The Durbanite trailed Russia's Vladimir Morozov (640) by 124 points in earning a total of 516 points in the overall standings. It was a back-to-back second-place finish for Le Clos, after losing to countryman Cameron van der Burgh in 2015. In the ninth and final World Cup leg in Hong Kong, Le Clos won gold in the 50-m, 100-m and 200-m butterfly races. 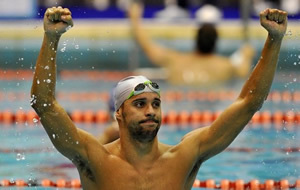 He won his 20th consecutive 50-m butterfly gold medal by stopping the clock in 22.31 seconds. The Rio Olympic silver medallist in the 100-m butterfly and 200-m freestyle, set multiple swimming benchmarks in the series this year, as he went undefeated for the season in the 50-m and 100-m butterfly events. The 24-year-old also became the most successful World Cup male swimmer during the season when he won his 100th gold medal. Le Clos is a three-time men's title winner, having won in 2011, 2013 and 2014.